Please follow the link on the left hand side to read about where it all began in 1975. 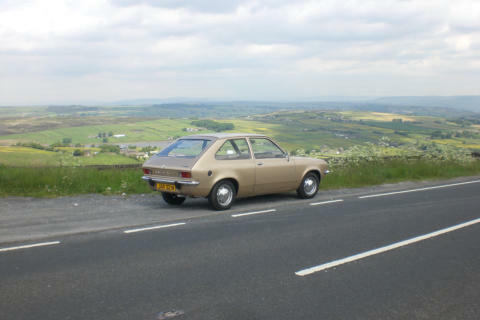 Please follow the link on the left hand side to read about the Cavalier Mk2 in the 1980’s one of the most popular company cars in the 1980’s. Please follow the link on the left hand side to read about the Cavalier Mk3, 1990’s Rep Mobile which in the hands of John Cleland in the BTCC won the championship in 1995. Follow the link on the left hand side to read about the Calibra one of the best looking Coupe’s on the market. Follow the link on the left hand side to read about the Ascona B. The Opel version of the Cavalier Mk1. Follow the link on the left hand side to read about the Manta B the Opel version of the Cavalier Mk1 Coupe and Sportshatch. Follow the link on the left hand side to read about associated models to the Cavalier based on the U-Car Platform (Cavalier Mk1), J-Car Platform (Cavalier Mk2) and GM2900 (Cavalier Mk3).